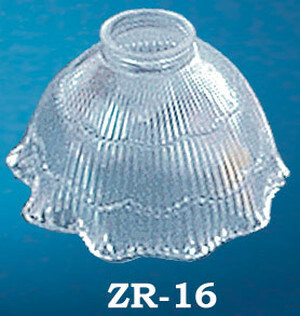 Holophane glass shade acts as a reflector and refractor. 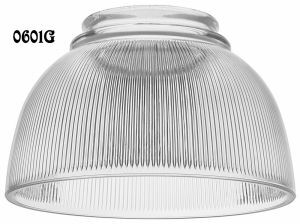 The glass provides an even uplight and downlight that illuminates without creating dark spots or glare. 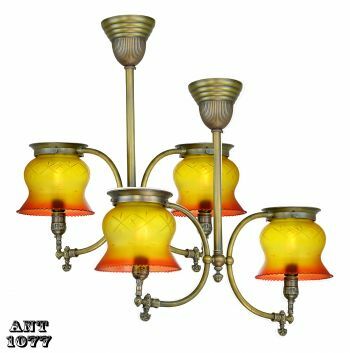 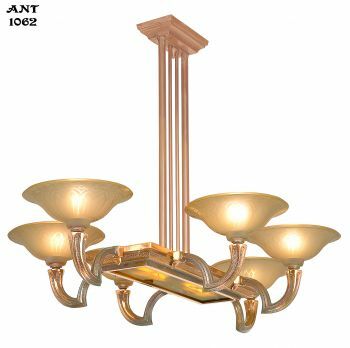 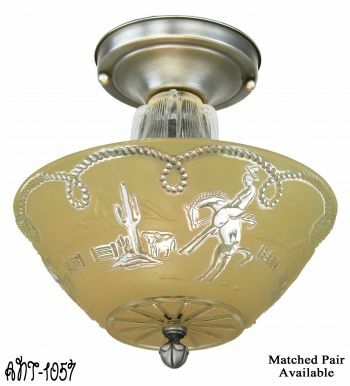 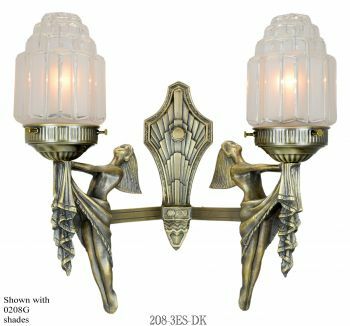 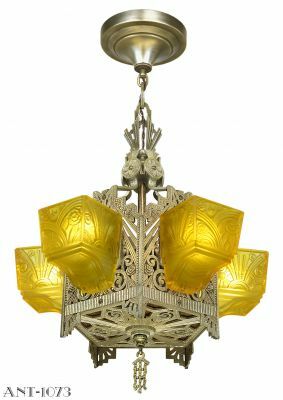 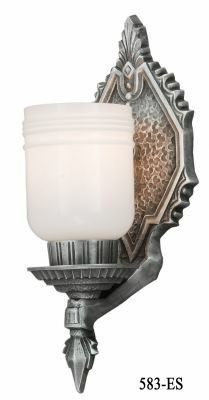 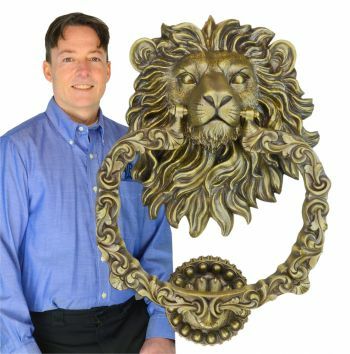 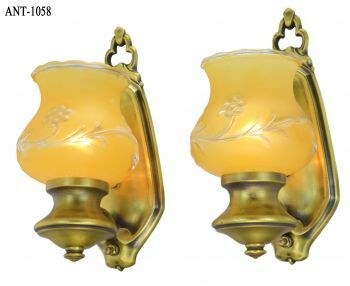 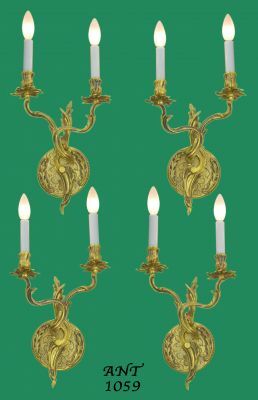 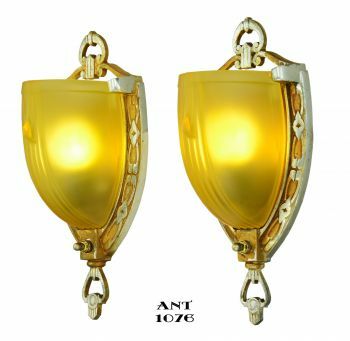 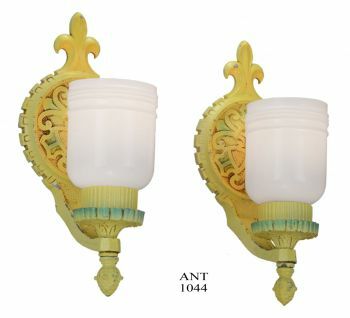 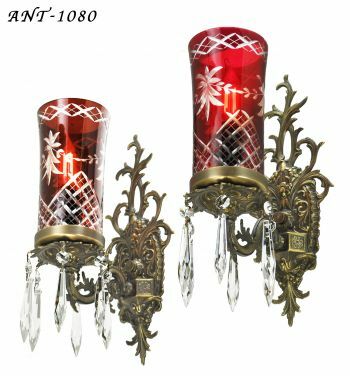 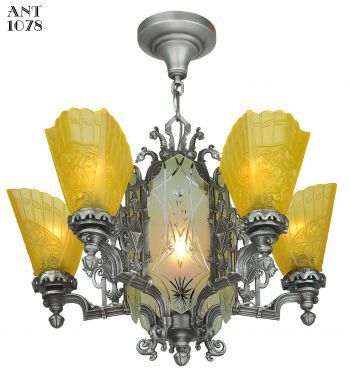 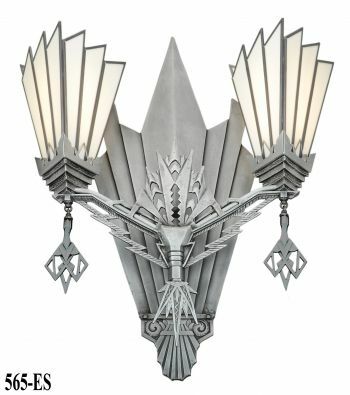 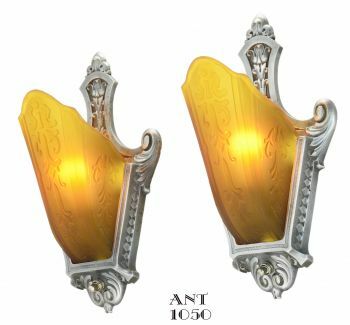 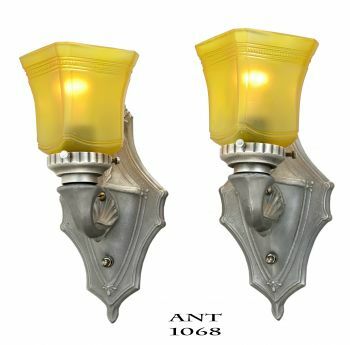 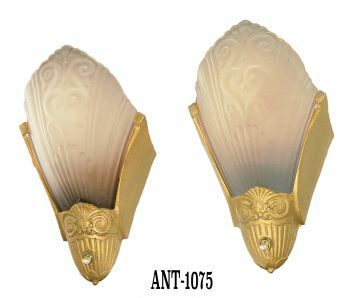 Used on sconces, chandeliers, lamps, or newel post fixtures. This simple shade works well with lights between 1896 - 1940. 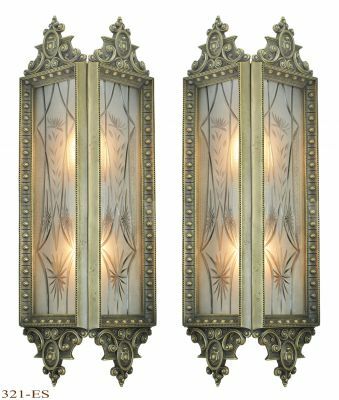 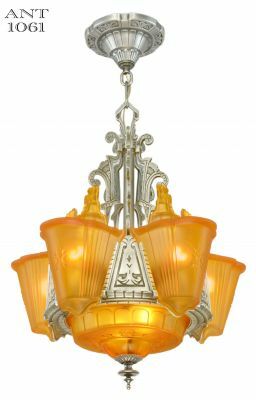 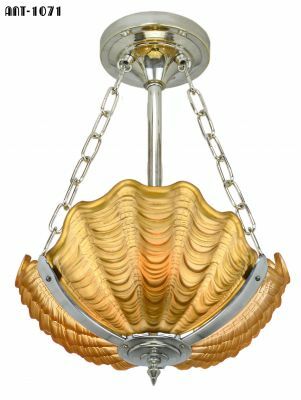 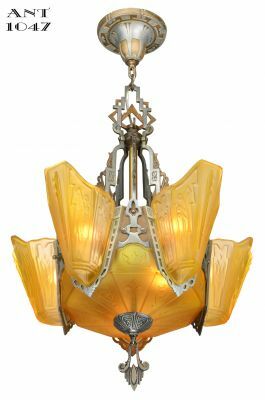 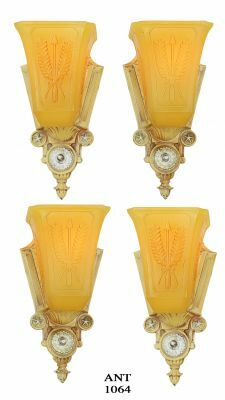 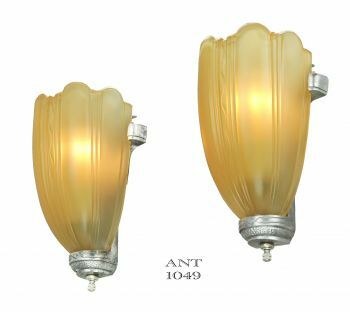 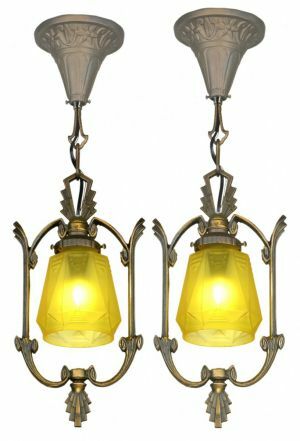 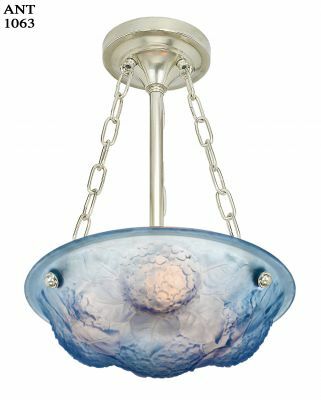 It blends well with Art Deco, Arts & Crafts, Mission, and Art Nouveau settings, allowing the focus to be on the fixture rather than the shade. 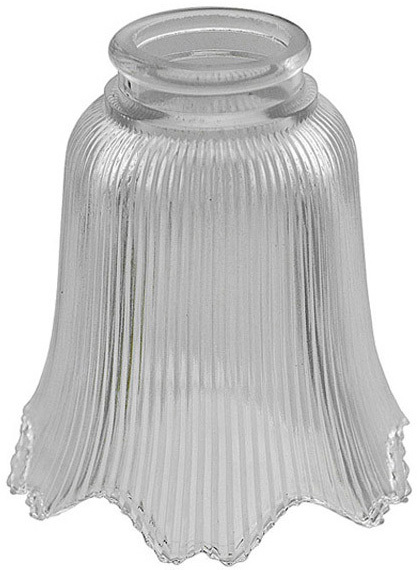 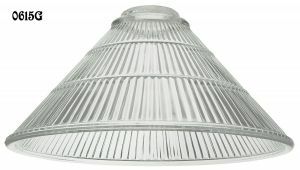 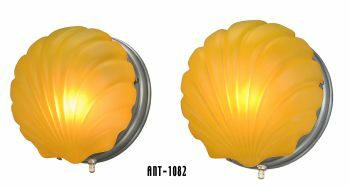 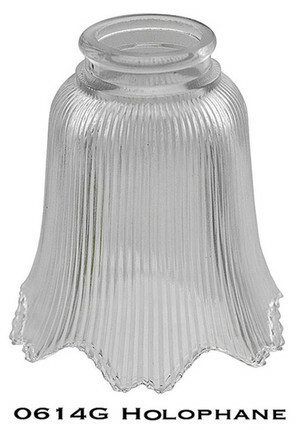 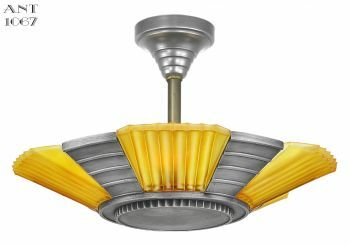 This ribbed glass shade, called "Holophane" or "Holophane style" is iconic in vintage style lighting. 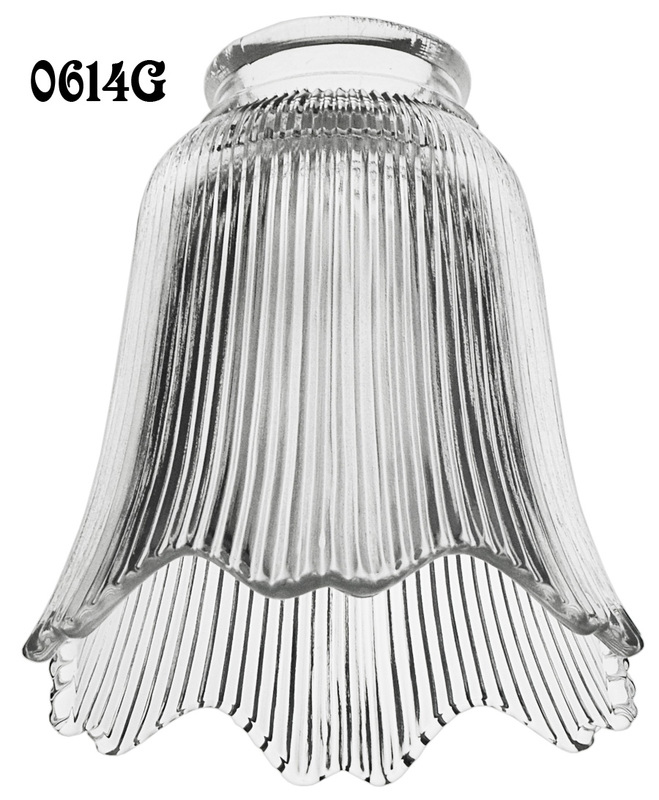 Early electric bulbs were not a high wattage, and it was necessary to get every bit of light possible out of the bulb.